It’s a high-energy week at Boulder County’s craft breweries! In this week’s Frothy Five, presented by Beer in Boulder, we have live music, Pilates, a samba party, and more, all events that will get local craft brewery patrons up, moving, and grooving while they enjoy their favorite Boulder brews. Here are Beer in Boulder’s picks for five of the most unique and buzz-worthy craft brewery events happening throughout Boulder County this week. The first all organic brewery in Colorado, Asher Brewing Company opened in late 2009 and has been running a sustainability-focused, world-class operation ever since. With a focus on creating organic beers that are better for both the environment and the consumer, Asher Brewing Company and their delicious beers, from the Tree Hugger Organic Amber to the Green Monstah Organic Strong Ale (a shout out to owner Chris Asher’s native Massachusetts background), is a unique, environmentally-minded establishment. 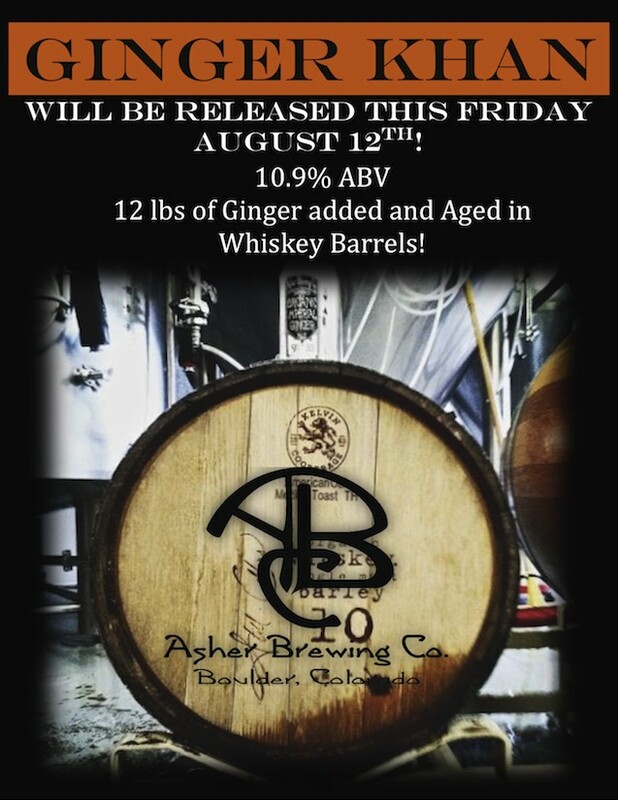 Today, Asher is tapping their Ginger Khan, a beer brewed with twelve pounds of ginger and aged in whiskey barrels, promising to be a delicious, kick-in-the-pants experience. Stop by the taproom any time between 2:00 PM to midnight (seven days a week!) to sample this new brew and enjoy food from Smoke Wagon Sammich Peddler. If you haven’t yet visited Grossen Bart Brewery in Longmont, you’ve been missing out on some insanely varied beers and, well, quite a bit of facial hair! Grossen Bart translates to “big beard” in German, and it’s a unique taproom and craft brew experience. Grossen Bart consistently plays host to food trucks and live music events, and this Saturday features Tyler T., a Fort Collins singer and songwriter who utilizes looping technology to essentially create a one man band-type show. Drawing from multiple genres and with electric energy and style, this is an exciting musical act to complement a unique Boulder County brewery. Does watching the Rio Olympics give you the itch to travel? To experience Brazilian food, entertainment, and culture? 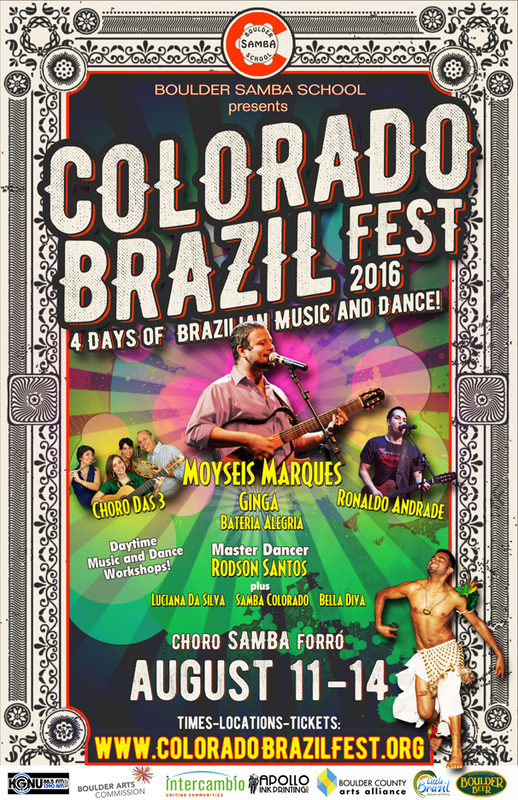 To get the Brazil experience right here in Boulder, look no further than Boulder Beer Company this Sunday as they host a Brazilian BBQ and Samba Dance Party in honor of the last day of the Colorado Brazil Fest put on by the Boulder Samba School. With traditional Brazilian food provided by Little Brazil and performances by Ginga, Ronaldo Andrade, and Michele Castro, this event promises to be a raucous and exciting afternoon full of Brazilian flair and Boulder craft beer. Sanitas Brewing Company is well known in Boulder for its recurring Brewhouse Yoga events with Jenna Bee on Tuesdays from 6:00 – 7:00 PM, blending the fitness and craft beer cultures of Boulder into one energizing event. On Mondays, dive into another core-strengthening, athletic activity at Sanitas with Craft Pilates with Summer Jessee. Fifteen dollars will buy you the hour-long class and a refreshing Sanitas craft brew afterwards as a reward for your hard work. Refresh your body and quench your craft thirst all at once at a wonderful Boulder staple. Can you say that you’ve ever heard a band that combines the genres of folk and punk? No? Then be sure to stop by Southern Sun Pub & Brewery, a larger iteration of the original Mountain Sun Pub & Brewery that has been open since 2002, on Monday night to cure your Monday blues and enjoy live music from The Gasoline Lollipops, a Colorado band that blends seemingly dichotomous genres to create beautifully sincere, yet high energy performances. Clink glasses with your neighbors, relax, and get your week started right at this great event. Sign up to receive weekly emails on Thursday mornings from Beer in Boulder that compile all Boulder County craft brewery events happening that coming week! Cheers to you, Boulder, and go Team U.S.A!